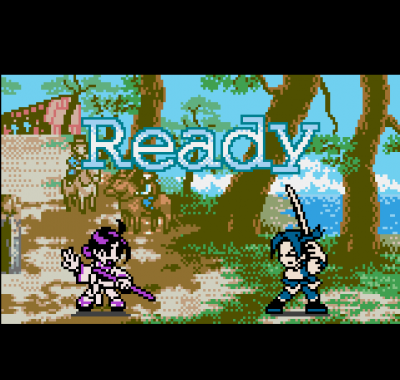 REVIEW: The first and only handheld version of SNK's The Last Blade is found on the Neo Geo Pocket Color. 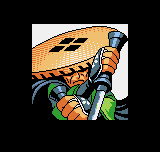 The graphics and overall art style are similar to those seen in Samurai Shodown! 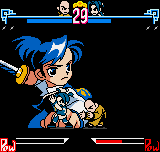 2: Pocket for the Neo Geo Pocket Color, as characters are proudly represented in chibi style. 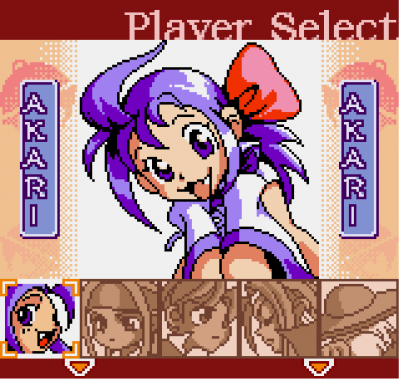 The 2D sprites animate fairly well in this version, but of course are a far cry from their original appearances in Last Blade or Last Blade 2. 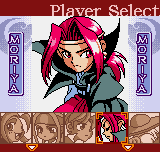 Last Blade is a much different game on the NGPC, and definitely feels watered down... quite a few characters are unfortunately missing as well. Those that did make the cut, however, are represented quite well and retain many of their recognizable moves & mannerisms. 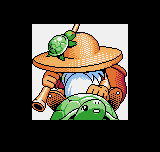 For a Neo Geo Pocket Color game, the game's presentation is actually well done. 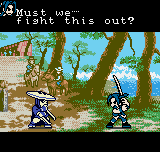 Last Blade: Beyond The Destiny seems to push the NGPC to its graphical limitations (which isn't much, but fans of 2D sprite graphics will appreciate the visuals). The cool stage intros have returned, and there's some cool dialogue between characters before the fight as well. 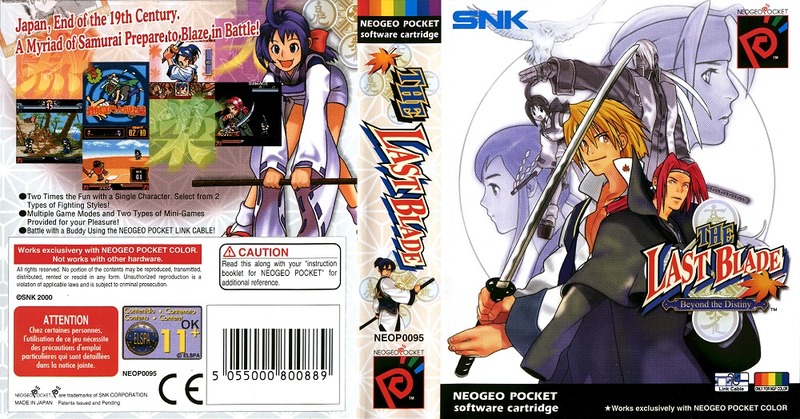 The gameplay is definitely simpler and more streamlined than the deeper system found in the NeoGeo titles, but this "pocket" version of Last Blade is a respectable "casual" fighting game. Last Blade Pocket also has an impressive variety of modes for a portable fighting game, including: Story, Survival, Time Attack, Training, and even a few secret modes. 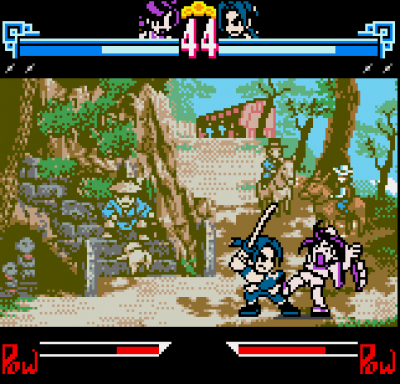 The NGPC version of Last Blade probably wasn't the most popular game on the system, but was pound-for-pound one of the best fighting games on the system. It's a great tribute to the Last Blade series for fans and even has some solid gameplay for a "cutesy" fighting game. As a stand alone fighting game, however, it does seem lacking (especially when compared to the epic Match of the Millenium).